Lucy is a general paediatrician and staff specialist at the National Centre for Immunisation Research and Surveillance (NCIRS). 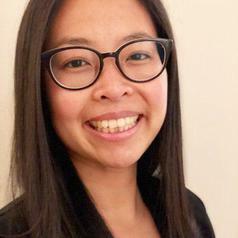 She is part of the NSW Immunisation Specialist Service (NSWISS), advises clinicians on immunisation specific enquiries, reviews children who have experienced an adverse event following immunisation and families with vaccine concerns. Lucy is also currently undertaking a PhD on severe acute neurological events following immunisation.